Patna: Five Indian Mujahideen militants, convicted by a special NIA court in the 2013 Bodh Gaya blasts case, were sentenced to life imprisonment today. Special NIA judge Manoj Kumar Sinha awarded the punishment to the five accused – Imtiyaz Ansari, Haider Ali, Mujib Ullah, Omair Siddiqui and Azharuddin Qureishi – who had been convicted on May 25. 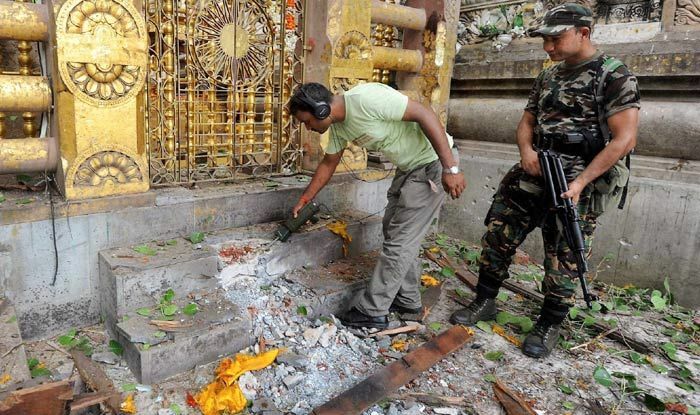 The world-renowned Buddhist pilgrimage town of Bodh Gaya was rocked by a series of blasts on July 7, 2013. Though there were no casualties, several people, including some monks, were injured. In addition to the five convicts, another accused, Taufiq Ahmed, was held guilty in the case by a juvenile court in October last year and sent to remand home for three years. All six are also facing trial along with others in the Patna blasts case of 2013. A series of bombs had exploded at a massive election rally of then Gujarat chief minister and now Prime Minister Narendra Modi, killing six people and injuring 89.